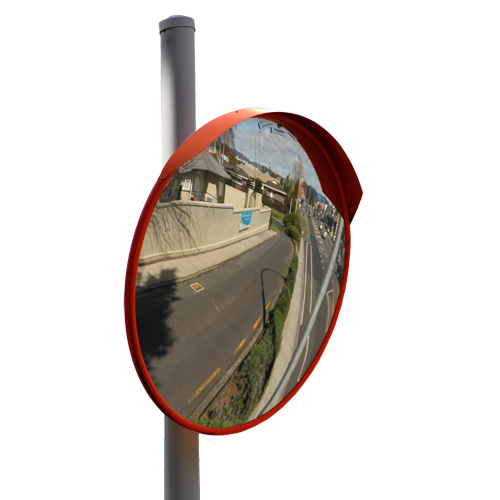 The 600mm Outdoor Acrylic Traffic Mirror is durable and designed to withstand tough environmental conditions, such as coastal areas, extreme weather and heavy machinery. 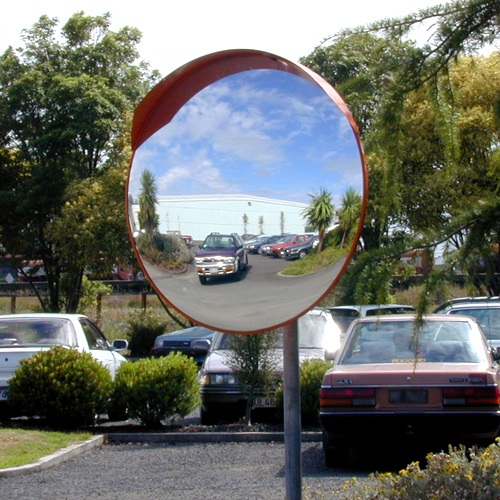 The mirror face has a unique curve design to allow a driver to observe high speed traffic much more effectively at a safe distance. 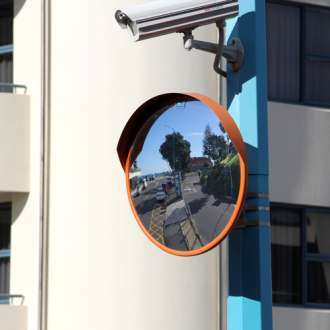 This outdoor convex mirror can be installed anywhere a driver's view of the road is impaired by buildings, trees, fences and other obstructions. 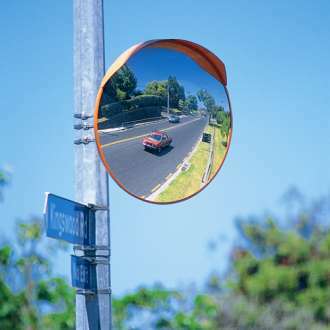 Ideal for concealed entrances or exits, blind corners on roads and highways and for hard to see intersections. The strong galvanised steel j-bracket mounted to a wall or flat surface. 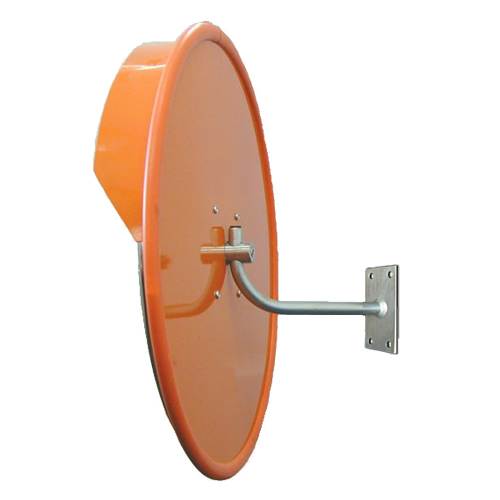 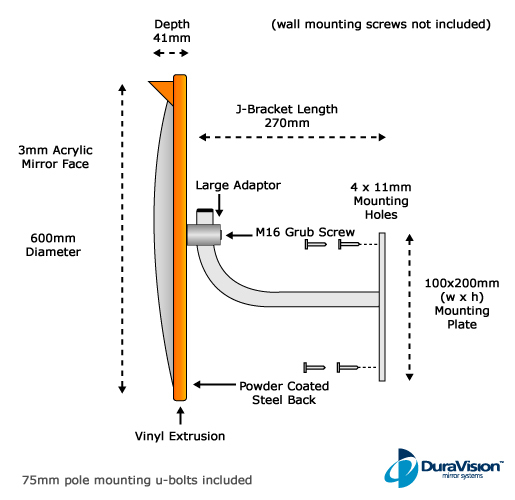 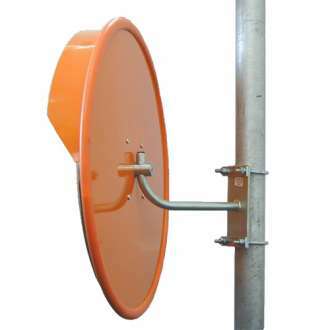 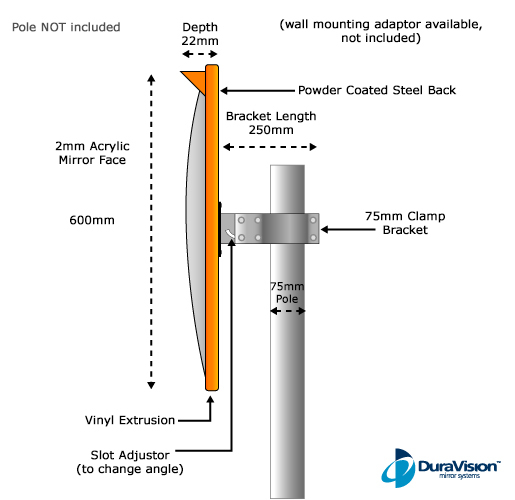 Also included are 75mm U-Bolts so the mirror can be mounted to a 75mm diameter pole (pole not included). 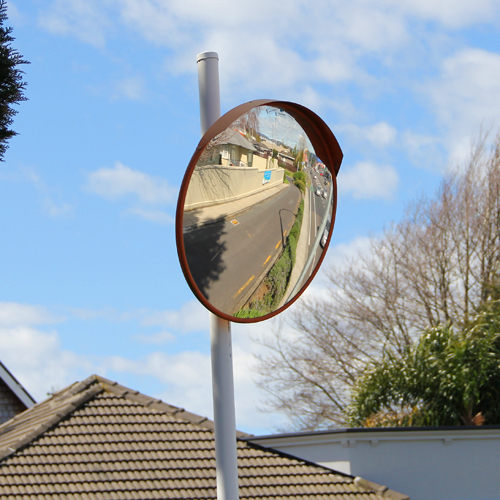 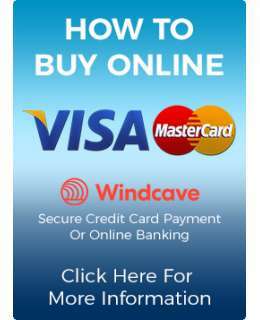 VIDEO: How to install a Convex Mirror to a Pole using U-Bolts.